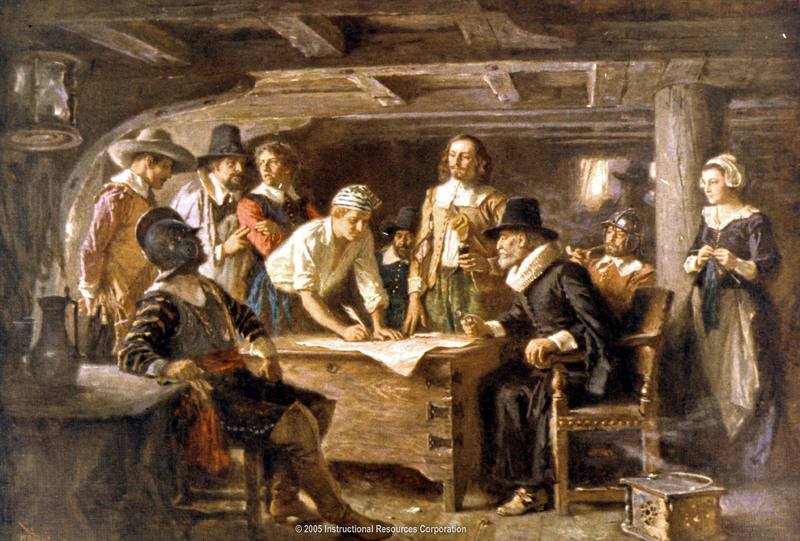 »History»What do you know about Thanksgiving and the Pilgrims? The Pilgrims and other sailors of the Mayflower signing the Mayflower Compact that was the first “law” in America. 1. The Pilgrims were persecuted and jail by the English Church. They tried to make an escape to Holland. After their first attempt where the men and the women and children were separated the men were caught. They were put in jail. Their second attempt was successful. They saw that they were poor and their children had to work. Also over time they saw their children becoming more and more Dutch and farther away from Christian. They moved back to England and then realized they must set off for America. 2.The Pilgrims were persecuted and jail by the English Church. They tried to make an escape to Holland. After their first attempt where the men and the women and children were separated the men were caught. They were put in jail. Their second attempt was successful. They saw that they were poor and their children had to work. Also over time they saw their children becoming more and more Dutch and farther away from Christian. They moved back to England and then realized they must set off for America. 3. The Mayflower was originally a ship that carried wine around Europe. 4.Squanto was an Indian captured by slave traders and bought by Spanish monks. He moved to England and stayed with a family until he could return to America where he found his tribe had died from the plague. He helped the pilgrims because he spoke English. 5.A baby was born on the Mayflower. He was named Oceanus. 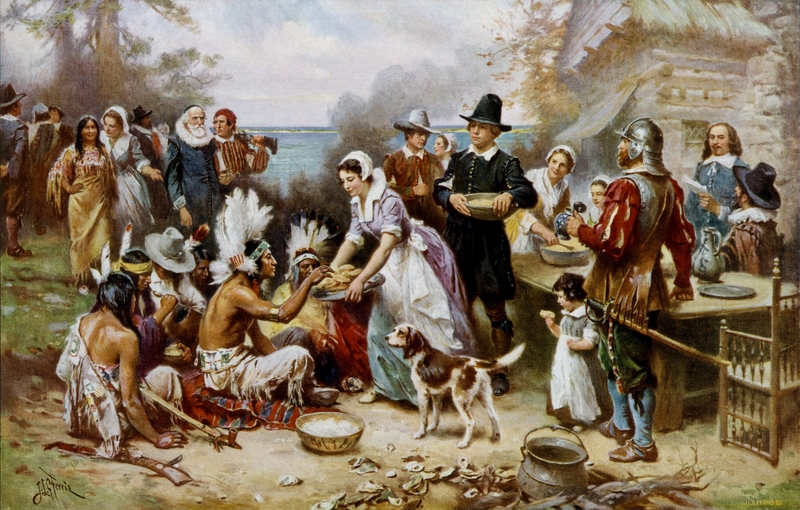 The Pilgrims and the Indians celebrating the first Thanksgiving.